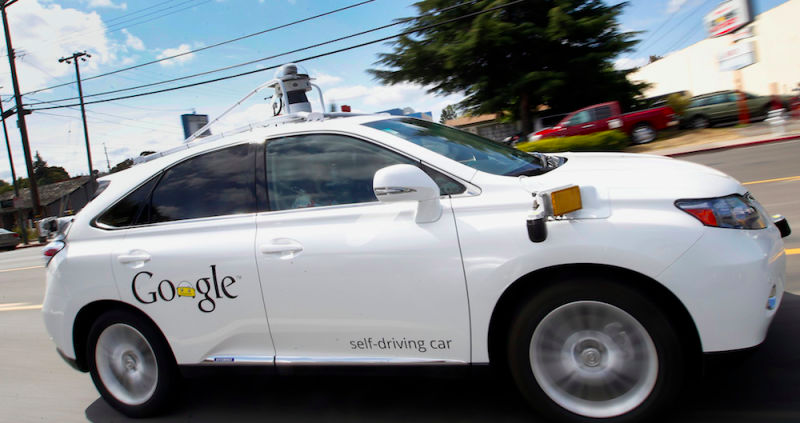 Google wants its self-driving cars on roads and your driveway as soon as possible, and today it is asking Congress to acknowledge that autonomous vehicles are so radically new that they need a whole new set of rules. We propose that Congress move swiftly to provide the secretary of transportation with new authority to approve life­saving safety innovations. This new authority would permit the deployment of innovative safety technologies that meet or exceed the level of safety required by existing federal standards, while ensuring a prompt and transparent process. While Urmson talks about “innovative safety technologies” here, Reuters reports that he will argue that Google’s self-driving cars don’t need the same safety features as regular old dumbo human-driven cars. Like rear-view mirrors, for example. It’s likely Urmson will advocate once again for autonomous cars without steering wheels, as he has in the past. This is a reaction to California’s state-level regulation. The California DMV’s draft rules require all sorts of stuff Urmson doesn’t want. For instance, self-driving cars in the Golden State would require a steering wheel, as well as a licensed human driver within the car. In February, the National Highway Traffic Safety Administration told Google that the US will consider a computer the “driver” in cars with no need for a human driver. That decision shows that the government is willing to drastically alter its understanding of how vehicles and liability function in order to make self-driving cars a reality. The Congressional hearing takes place today at 2:30pm EST, and Gizmodo will be watching to see what other safety features Urmson thinks self-driving cars can do without. Do we even need windows?